The Coalition of United Political Parties (CUPP) has called for an immediate cancellation of the supplementary governorship election which held in Kano State Saturday. 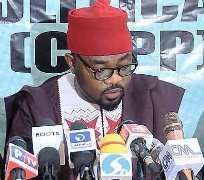 Imo Ugochinyere, CUPP’s spokesperson, in a statement, said the call followed massive bloodshed, violent activities of armed thugs and sporadic shooting of voters, that have so far characterised the exercise. The statement reads: “We are calling for an immediate halt of the exercise because what is ongoing in Kano State cannot be described as an election but a bloody vampire ceremony. “These thugs armed with sophisticated weapons took over accreditation and voting and murdered party agents.